“Let us create the new building of the future together; it will combine architecture, sculpture, and painting in a single form”. With this vision, Walter Gropius, in 1919, opened the Staatliche Bauhaus Weimar, which was to become one of the most influential schools of art, design and architecture from Dessau to Chicago. 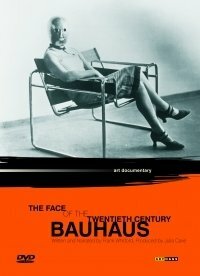 Artists such as Kandinsky, Itten, Feiniger, Klee, Moholy-Nagy and Schlemmer taught there and, together with directors Gropius and van der Rohe, led the Bauhaus to embody reform, experimentation and the avant-garde. Through artworks, archival records and interviews, this film delves into the exciting story of the school and its protagonists.